Rewatch/Reread – S02E09 – GoT Blackwater? | Got Thrones? Rewatch/Reread – S02E09 – GoT Blackwater? Johnny and Alex discuss episode 9 of season 2 of “Game of Thrones” – “Blackwater.” A little weary from the cosplay convention they attended this weekend (hold your applause), they decide to try out a new format this week. Instead of a straight recap, we pick our Top 10 Favorite Things from this hour chock full of comedy, gore and attempted infanticide. See the list below for guidance, and let us know if you think we missed something! Oh! 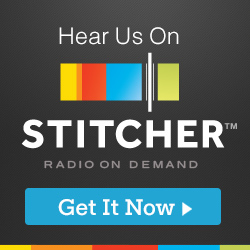 And you can find us on Stitcher now! Please rate and comment if that’s where you’re listening. 10. The Explosion – The part when the ships blow up. 9. Pyromancer Hallyne – Tyrion makes him the happiest man in Westeros. 8. The Gore – This was a bloody one. And a gross one. 6. The Hound’s Feelings – His heart grows a few sizes bigger this ep. 5. Podrick Motherfucking Payne – nuff said. 4. Gallows Humor – A surprisingly witty hour alongside all the graphic violence. 3. Stannis’ Committment – This is when he goes from Stannis to Stannis the Mannis.